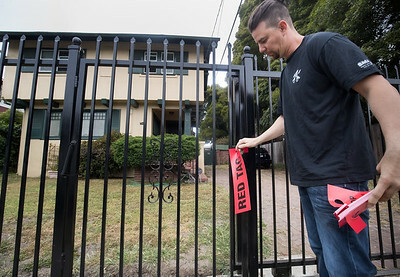 Dale Cambre of the Sheet Metal Worker Local 104 places a red tag brochure on the gate at Oakland Council member Noel Gallo's Fruitvale home on 06-03-17, Oakland, California. 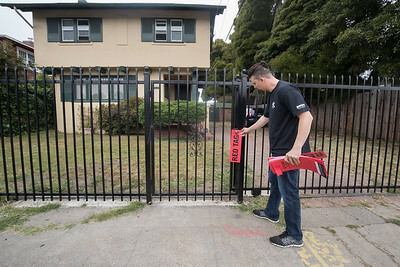 Dale Cambre, a member of the Sheet Metal Worker Local 104, places a red tag brochure on a gate near Oakland Council member Noel Gallo's Fruitvale home on 06-03-17, Oakland, California. 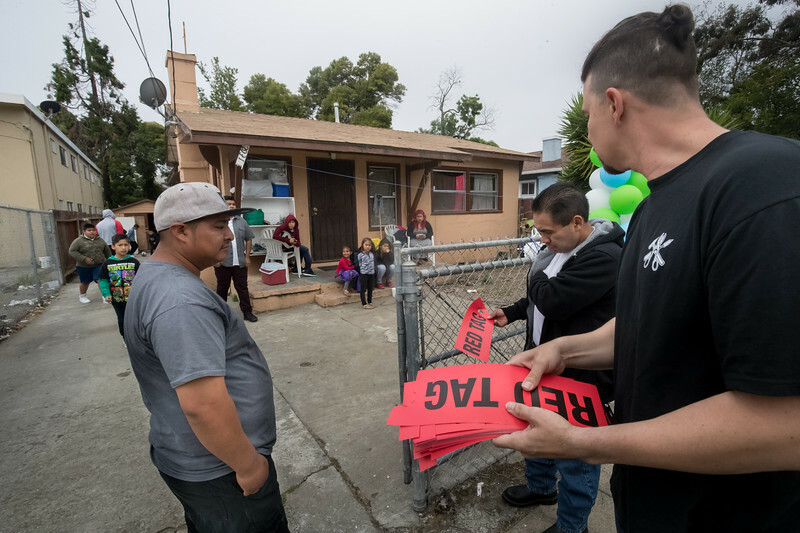 Dale Cambre, a member of the Sheet Metal Worker Local 104, hands out a red tag brochure near Oakland Council member Noel Gallo's Fruitvale home on 06-03-17, Oakland, California.